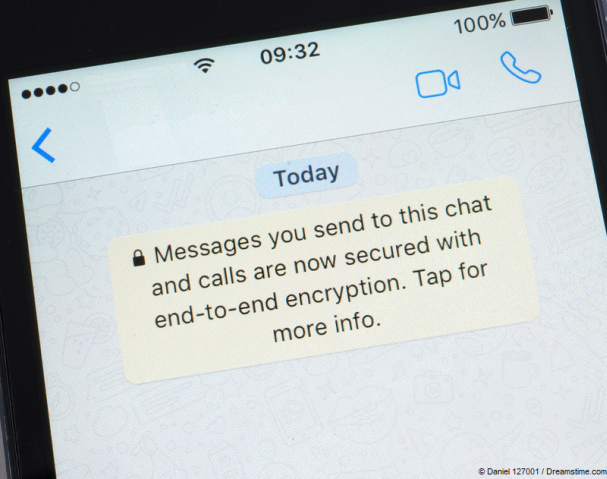 The UK’s Independent Terror Watchdog has become the latest voice to weigh into the ongoing debate about encryption in the country, arguing that encryption should only be made available to those who identify themselves. The suggestions were made by Max Hill QC, the UK’s ‘independent’ reviewer of terrorism legislation in an interview with the Evening Standard newspaper. Mr Hill said that he believed it would be possible to deliver verification checks on individuals in “nanoseconds” and that his idea was a “good solution” to the perceived problem of Islamist terrorists hiding behind encrypted messaging services. As we have reported before, the UK has long been keen on the idea of introducing backdoors to encrypted communication services despite all expert advice recommending against this. The current Home Secretary Amber Rudd has taken up the mantle from her predecessor, the now Prime Minister Theresa May, on this issue and the recent terrorist attacks in the UK have only deepened their resolve. Rudd has also threatened tech companies with strong measures if they do not do more to remove extremist materials from their sites despite the fact that all have already invested significantly in tackling this issue and continue to do so. Mr Hill seems to be hesitant about the Government’s threatening tone of this matter and warned in this interview of not resorting to what he described as “sledgehammer” laws against tech companies. But he is now speaking out in favour of restrictions on encryption. Indeed, he claims to have already held discussions about his suggestion with the tech companies directly. This would seem to be a little above Mr Hill’s pay grade as he role is intended to be limited to reviewing the development and implementation of terrorism legislation rather than proposing it himself. Unsurprisingly, it seems many tech companies are wary, with even Mr Hill himself admitting that many felt his proposals were unfeasible. But he insists it is a suggestion worthy of debate and in an effort to stimulate that, he has taken the populist line of commenting that the tech companies are wealthy and should be using their money to pay for ideas like this. By making these comments in public, Mr Hill is taking a big gamble with his own position. His role is supposed to be independent, but he now appears to be making public calls for policy changes which echo those of the Government he is supposed to scrutinise. His suggestion that access to encryption should be restricted is unnervingly close to the claims by Amber Rudd that ‘real people’ do not need encryption. This position has been challenged in the last couple of months by both a former head of MI5 and a former head of GCHQ. Indeed, anyone who actually understands encryption accepts that any restrictions or limitations to it effectively renders it obsolete. Whether this means that Max Hill QC still doesn’t really understand encryption is not for us to say. But it does certainly show that British people are no longer able to take their encrypted communication tools for granted anymore. The Government and even those who scrutinise them are keen to undermine encryption, which is why the need to encrypt by using a VPN has never been more important.